I grew up on both coasts then settled in Vermont in 1982. With the help of some good friends, we planted an apple orchard, built a greenhouse and began a life of farming with fruit and flowers. The many flowerbeds I planted provided a creative outlet for spring and summer wedding arrangements and with fall came the opportunity to use dried flowers. I’ve always loved working with my hands and learning new crafts so as my three children grew they came along for the ride. We were always basket making, candle making, creating pottery and knitting. Our house was always decorated with some new creation. 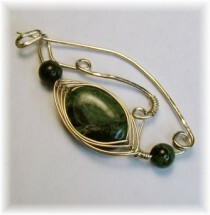 When I found a book on wirework I was hooked. I have been working with sterling and fine wire for more than a decade now. I find the possibilities to be endless and challenging. 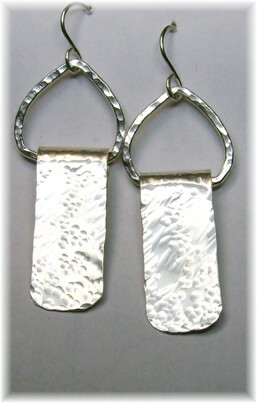 The process involves measuring, cutting, filing and sanding, shaping and hammering. Cleaning and polishing the work finishes off the piece. 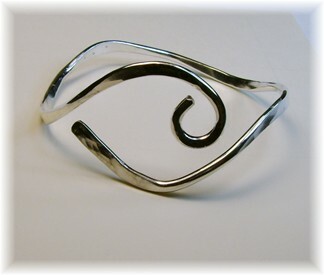 Only fine silver (.999) is used for fusing or melting together into links and rings to shape further. 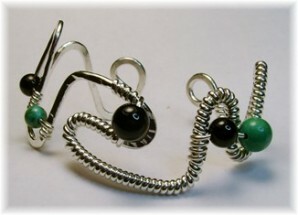 The sterling wire is twisted and curled, wrapped and woven. 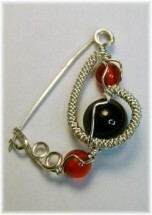 My work is all done by hand with much passion put into each piece I make. Most of my pieces have natural semi-precious stones incorporated into them for added dimension and beauty. The farm business is closed now and my children are grown but I’m still surrounded by it all as I work in my home studio. Inspiration is everywhere from scroll on a building to the tendrils on a vine in the garden. 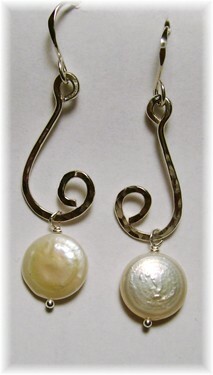 I hope you enjoy wearing my works of art as much as I enjoy creating them.